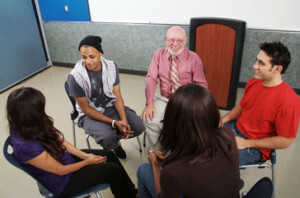 More and more schools across the country are finding t hat their traditional discipline system isn’t effective enough in dealing with minor and serious wrongdoings and that the principles and practices of a restorative justice school program have much to offer in creating a safe place for learning and growing. We offer trainings for students and staff of both K-12 and Higher Education. Restorative Justice is a way of responding to conflict, misbehavior and wrongdoing that makes things as right as possible for all who were impacted. Restorative Justice recognizes the conflict or harm, repairs the damage (physical and relational) as much as possible and creates future accountability plans and/or agreements that will prevent the same thing from happening again. These principles guide our actions in response to wrongdoing, misbehavior and conflict and in our response to them.